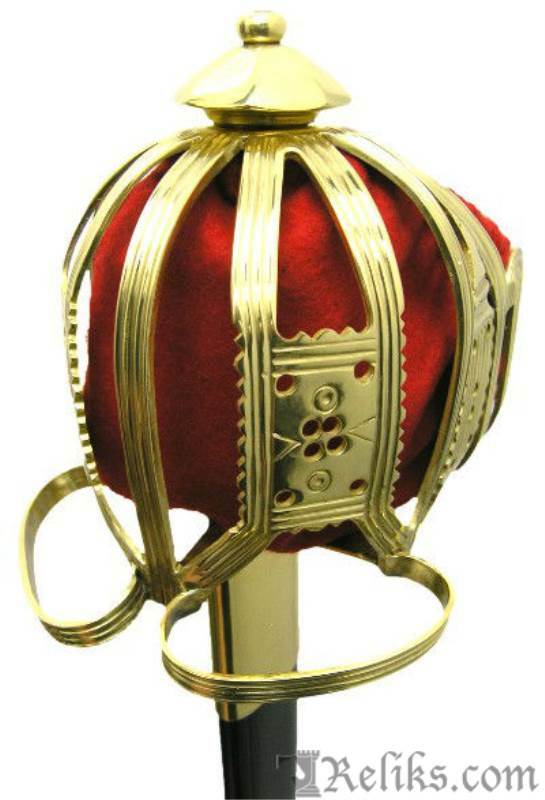 This Scottish Basket-hilt Claymore is the equal of any raised by clansmen, as they overran the English at the Battle of Falkirk on Jan. 17th, 1746. 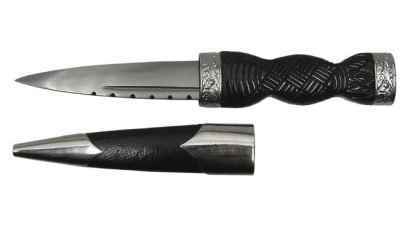 The pierced basket-hilt is a faithful reproduction of one found on the Culloden Moor. 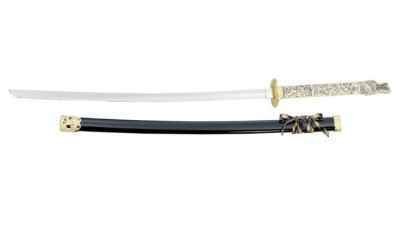 The fully tempered high carbon steel blade is of the typical fullered, double-edge, broadsword pattern of the 1740's. 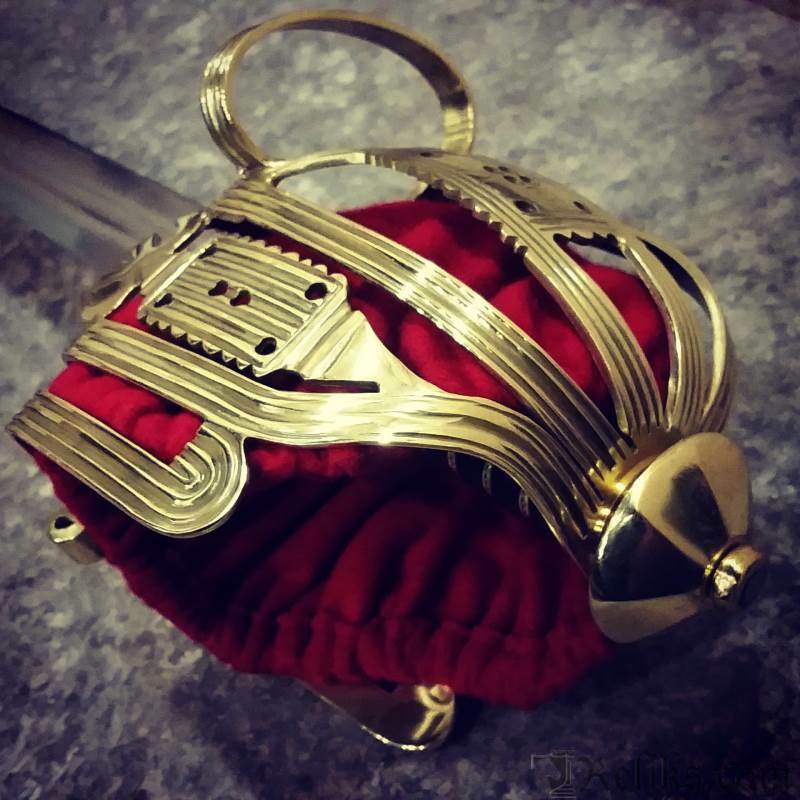 The basket also has a rich red velvet liner and a scabbard is included for this great price. 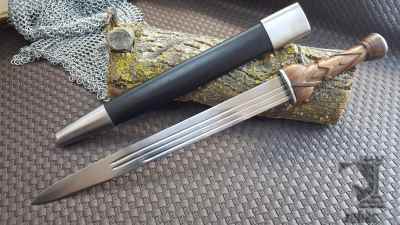 Blade Width at Guard: 1 5/8"
Blade Width at Tip: 1 1/4"